Want to make your own wedding or Christmas gifts...lets us help you by preparing the wood. 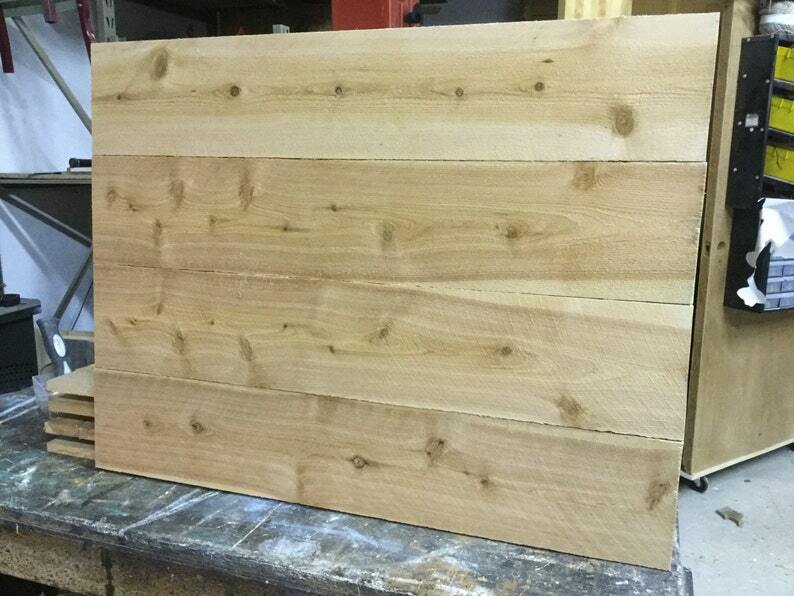 These cedar boards are glued and stapled so they are very study and ready for you special touch. We also include hangers for the back. Sign measures approximately 32"x22" at this time be don't make or ship a larger size. Please note that wood has character and will shrink and have gaps.....Each piece is hand selected and hand cut by me. Sometimes the wood will have knots or splits ... this should be considered as part of the charm and character of the piece that matches our rustic look and style. This was exactly what I needed. Shipped very quickly! Very nice craftsmanship. I am very happy with my purchase.